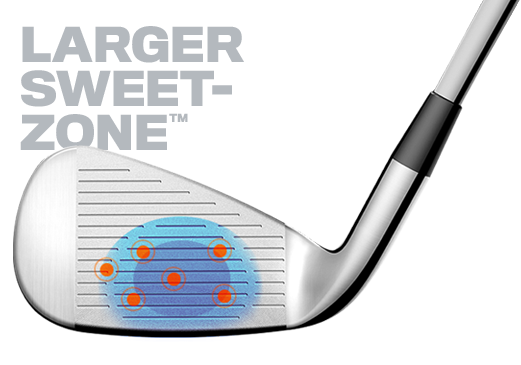 Our largest iron face delivers our largest SWEET ZONE ™ ever for explosive distance across the entire face. 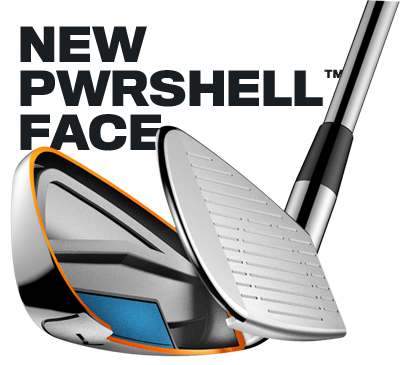 The full hollow design delivers preferred sound and feel and lowers CG for improved consistency and distance. These clubs hit amazing. It is almost impossible to mis-hit these irons. The sweet spot is huge and the distance is amazing. I am hitting my irons father than ever before. I've played golf for many years and will admit I love to try new equipment. Fortunately with all the demo days and hitting stations at golf shops now you can try before you buy. These irons were the first I've bought with the flex face technology. As a 5 handicap, I was blown away there was anything that went 1.5 to 2 clubs further than what I was playing before. Some was due to a stronger loft, but most was due to launch angle, spin and a "hot" face. I didn't see much improvement in dispersion from my old 6 iron to my new one, until I realized something. I was now hitting my 8i or 7i when I used to hit the 6i. The only fair dispersion test was the new 8i or 7i to the old 6i. With a fair test, the dispersion had also improved. Another thing I really like about these irons is with all the great game improvement features they still look fantastic. I love the oversize head(for increased MOI, confidence etc...) as long as it's a traditional profile and these even have a dull chrome looking finish that is beautiful. The only way these could look any better from the playing view is with less offset. I hope some day Cobra realizes there is a market for a GI/SGI iron with little to no offset. Surprisingly I was told by Cobra that this iron was being discontinued. The person I spoke with was just as surprised as I was as he said they were selling great. Maybe they will be replaced with a new King Cobra Oversize, WITH NO OR VERY LITTLE OFFSET! There's a huge market for game improvement irons that don't look like game improvement irons. This is the best I've ever found, please continue to improve the concept and not kill it! PS I use the matching hybrids for my 3 & 4 iron and they are also great. Imagine packing all those game improvement features into a club with "no offset". I’ve played golf for a number of years, and muddled my way through a quite a number of iron sets trying to find the perfect ones. I have played Callaway, Ping, TM, Bridgestone, Nike, Cleveland, components, etc. in various shaft weights, head designs, etc.. I have played single length and variable length. I went into my first iron fitting with a very open mind. I was willing to go with any OEM, and willing to go single or variable length. The King OS won out, not just with the standard 7 iron tests, but more importantly with clean gaps up and down the range (full set test). Knowing of the honeymoon, I went back two more times (different stores) and did a bunch of individual testing. Same result. Long story short, I own a set now and the results are impressive. Maybe it is finally being fit, but these are really good clubs, and I think I have enough shots under my belt that it isn’t just a couple of good launch monitor sessions. If one is seeking a set with forgiveness off center, decent (though not ridiculous) launch but with looks that don’t scream “total hacker” then they should definitely cross shop this set. I believe you could pass any bag eye candy test with these, but still get a lot of help. Just recieved these irons and have played 3 rounds. Can't wait to get back out. Had a great fitting at Running Y in Oregon and they seem perfect. Longer, straighter, more forgiving. Highly recommend these. This is a follow-up to my previous review. These irons spin the ball like nothing I've ever hit before! If you hit the green, the ball stops on a dime. These are definitely the best irons I've ever used. I have never hit a 7-iron 150+ yards in my life, let alone at 65 years of age, but I did several times when I demoed it! Very impressed by these clubs and bought the set (used) that they had in the store with F2 Recoil graphite shafts. They provide distance, accuracy, and a high ball flight. They also give good feedback on impact location on the club face. These irons are forgiving and easy to hit, exactly what I need! And they look good. Very happy with the feel of these clubs, but very unhappy that the finish is coming off the club's after 5 rounds played. Very disappointed after spending the money I did on these clubs that they're failing to meet the quality standards I expected. As a newer golfer trying to break 100 I was in the market for some SGI clubs. I had the Callaway Os for a few weeks but traded them in the second I hit these on the monitor. I don't know exactly what it is, the recoil shafts or the sweet zone, something about these clubs make it possible for me to make good shots. I couldn't hit a green on a par three to save my life but with these its pick a spot, it might go a little farther but it's money every time. Thank you Cobra! Love my new King Oversize, they have a large sweet spot and I increased my distance by 10 yds. I have the graphite shafts they come from standard recoils. Thanks Cobra golf! just got these irons 2 days ago and have hit about 500 balls at the range with them...i knew from the first 5 balls that these are simply a terrific set of irons. Is very generous in size..slight mis hits lose no distance while more pronounced ones only suffer small losses. The king oversize is a superior product.. I am not a high handicapper(10 index) and recommend these irons to rec golfers of all levels..
I’ve been playing the King OS irons with the Recoil shafts for 6 months. Incredibly forgiving and long. My only complaint is the paint on the back of the iron heads began chipping off in the first week. And I walk 90 percent of my rounds so the clubs weren’t clanking together like they might in a cart. Performance is not affected but very disappointing for high end irons. I'm a spry, but slight late 50's guy, that just got back into golfing after many years off. I had an old set of forged cavity backs with heavy steal shafts. I needed 2 or 3 clubs stronger than my friends who have more contemporary equipment. I started by ordering a King Cobra OS in 4 iron with regular flex graphite. I can easily hit this thing 190 to 200 yards. After a couple of months, I bought the entire set thru Gap. I tried the latest and greatest but the other big names, including a pair of new releases for 2018. I hit the King Cobra Oversize better, and liked the results. A well struck shot feels nice on these sometimes arthritic hands. The easier swinging with the graphite's helps on the 4 or 5 holes, before my game would start to slip due to fatigue, but much less so with the Cobras. These are a perfect compliment to my Cobra F6 driver, 3 wood and rinky-dink (3 hybrid). The 4 iron does over lap the hybrid a bit and I'm not so good with the 3 wood, but that will take practice. Be sure to get some lessons to get the most out of your new clubs. I love golf and biscuits. This is the Custard cream of all golf clubs. These Irons have dropped my handicap from a 10 to a 6 this season. It's very difficult to mis-hit these irons, even on the occasional mis-hit they still perform well. Best irons I've ever gamed! Consistent in distances and heights! Best irons I have ever played. Played Ping Rapture V2s prior to switching to the Oversized Irons. Have recaptured the length and heights that I had lost as I aged. I'm now 76 and hitting the ball better than I was 10 years ago with the new Oversized irons! Back in the 1990’s, when Cobra introduces their first version of the King Cobra Oversized irons, they were an instant hit, especially with those that made less than perfect contact most of the time. The larger sweet spot meant that weekend golfers could score better and be more competitive, but more importantly, have more fun. So, if a bigger clubface equates to having more fun, the new King Oversize irons are a party waiting to happen. In fact, the sweet spot in these new irons is so big, Cobra no longer calls it a sweet spot, it’s a Sweet Zone. 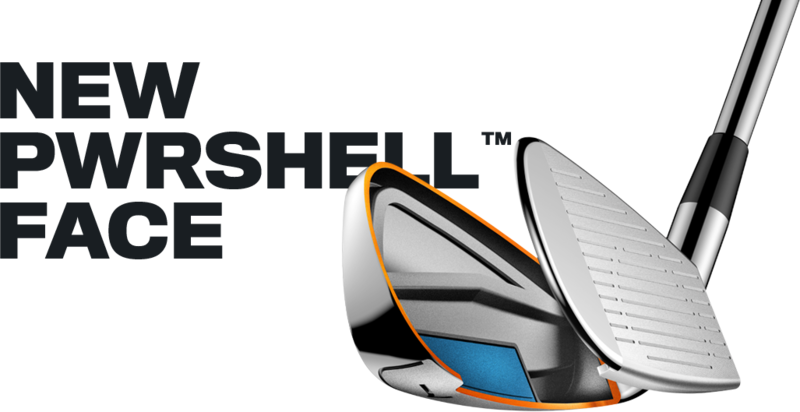 In fact, it is between 5% and 12% larger than the Sweet Zone of the Cobra F6 irons, depending on the club. Because a larger sweet spot requires a larger clubhead, the Moment of Inertia (MOI) is increased too, which gives the King Oversize irons more forgiveness and helps you to hit the center of the clubface more consistently. This leads to higher ball speeds on off-center hits, which means more distance. Much of the weighting in the clubhead has been redistributed in a couple of ways. Cobra’s Zone Weighting took the weight that was removed from the center of the clubface and redistributed it lower and further back, around the face. 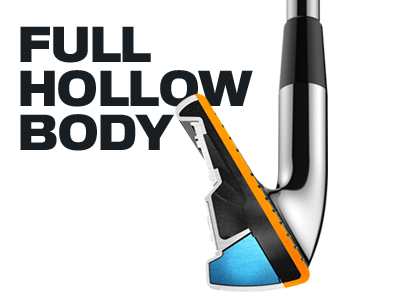 The King Oversize irons also use a high density tungsten weight low in the toe of the clubhead which helps to center the impact position on the larger clubface. 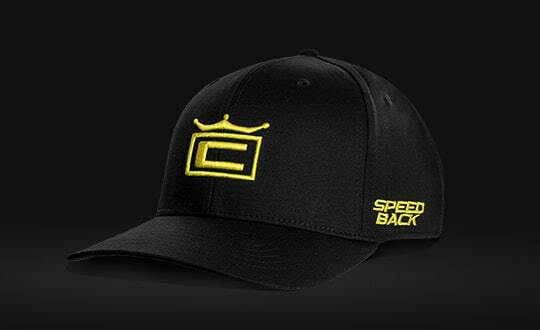 Both of these adjustments lower the Center of Gravity (CG) and add to increased ball speeds, which means more distance. 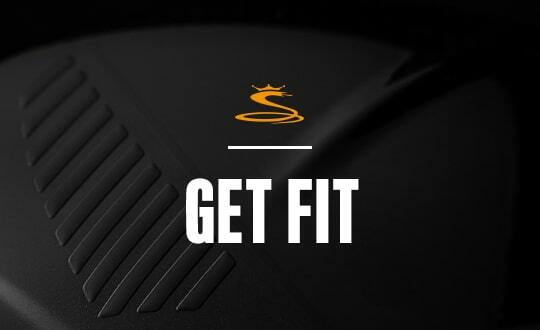 Here’s something important: Cobra seems to put more emphasis on grooves than any other club manufacturer. The 4-6 irons in the King Oversize set utilize V-grooves in an effort to reduce spin. The 7-PW are outfitted with U-grooves which optimize spin and the groove spacing on the GW and SW are designed to produce added spin. All of the grooves go through a CNC milling process that optimizes trajectory, improves control and inspires confidence when you are trying to work the ball. Whether you’re a scratch golfer or a weekend warrior, feel is an important aspect when hitting iron shots. With forged clubs, less is more, meaning the less you feel, the better you probably hit it. Cobra’s Full-hollow body construction delivers higher launch angles and a soft yet solid feel; you’ll know when you flushed it. The King Oversize iron’s feel is enhanced by a re-engineered polymer medallion which replaces the old steel medallion, freeing up an extra 5 grams of weight. It seems everything in a game improvement iron centers around lowering the CG. 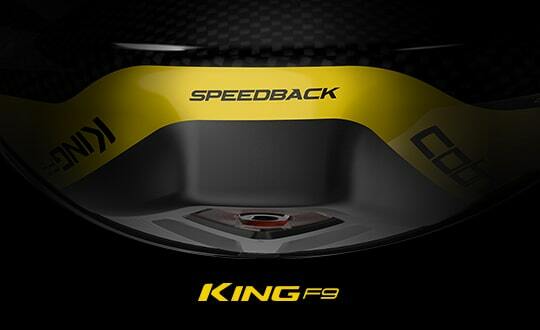 Cobra has done a great job of this and it really shows itself when you play the new King Oversize irons. They are incredibly easy to hit and when you strike it solid, the ball catapults off of the clubface and sails way down the fairway. Working the ball either left or right is easy to do and quite responsive and the specialized grooves help the long irons to hold the green and make the short irons easy to spin. The premium nickel chrome finish is tough and takes a lot to mark it up. If finding the center of the clubface is not your strong suit, perhaps having more clubface is just what you need. If you’re in the market for a new set of game improvement irons, you need to check out the new King Oversized irons. 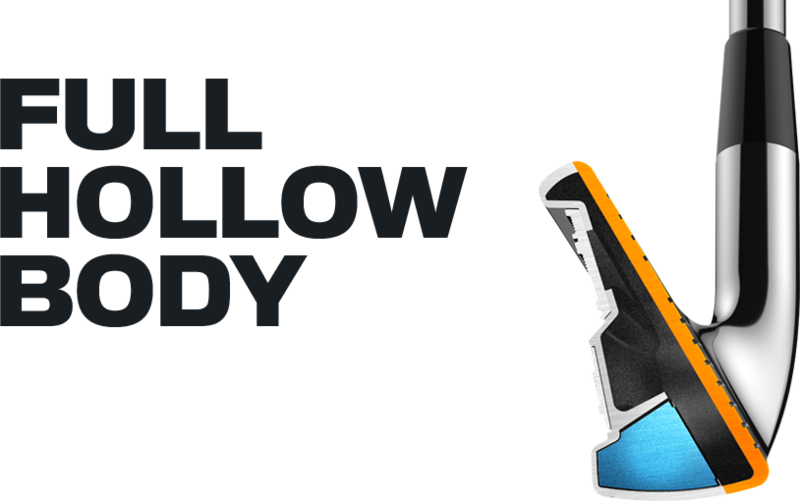 You’ll start making better contact and gain more confidence; both of which will lead to better scores. Looks good, forgiving and ball goes far! !